It is officially Fall which in the VeganMartha kitchen means soups & stews in the slow cooker! 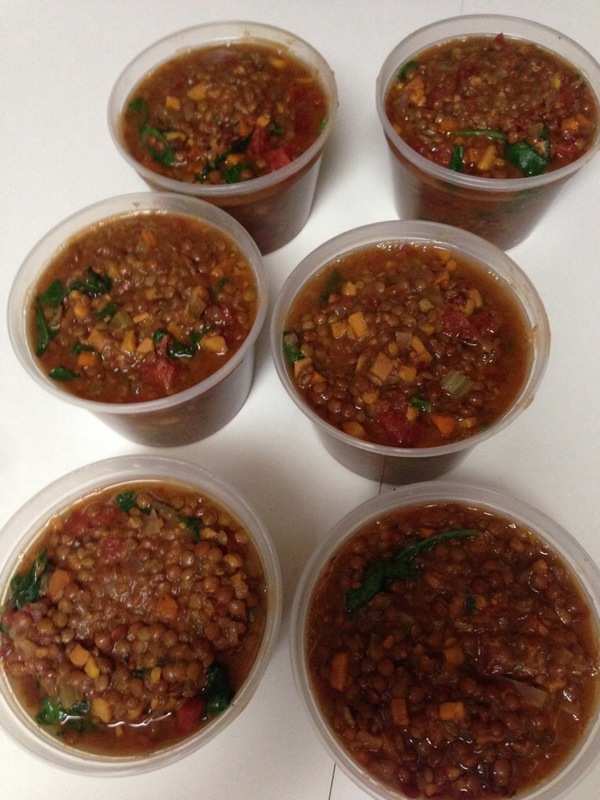 I made some delicious lentil stew yesterday. Chop the onion and sauté in olive oil. When it starts to get tender, add the garlic. Then remove from the heat. Chop all the other vegetables. Throw everything in the slow cooker except the spinach. Cook for ~12 hrs on low. Then stir in spinach. Eat, or freeze and eat later. Makes ~8 servings as an entree, lots more as a side/app. Happy Fall!!! This entry was posted in Recipes, Slow cooker, Soups & stews and tagged lentils, Slow cooker, stew. Bookmark the permalink.